Corn allergy isn't as common as some allergic reactions to foods, but when it occurs, it can be severe. Symptoms can range from itching, redness, and nasal congestion, to wheezing, throat swelling, and shock (anaphylaxis). Getting a corn allergy diagnosis can be challenging and one is usually based on history. The only treatment for anaphylaxis is epinephrine injection (EpiPen), making prevention the primary objective. While many corn-containing foods are obvious (cornstarch, popcorn), others may not be. Corn can even hide in everyday items that have nothing to do with your diet. It's uncertain exactly how common corn allergy is, but some researchers believe it's underdiagnosed. A 2016 study done in Pakistan found the rate to be 0.86, or almost 1 percent of the population. In the study, a diagnosis of allergy was confirmed by a food challenge. One study in Honduras of only 50 adults found the prevalence to be 6 percent, but there's currently no good estimate of the incidence in the United States. 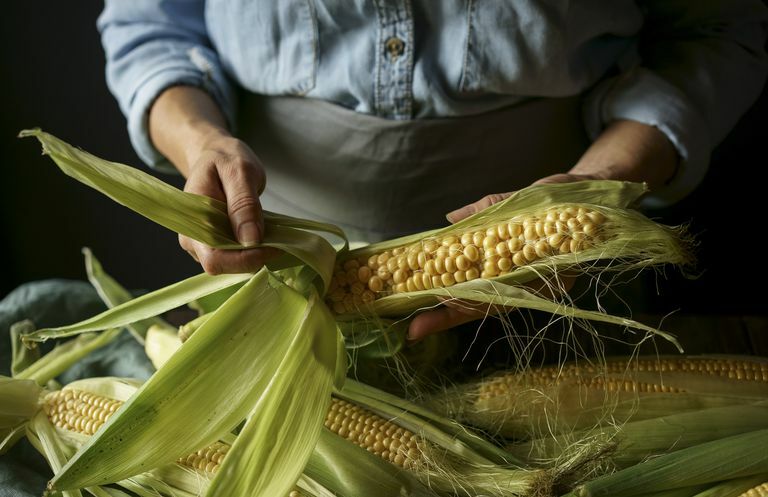 Since corn is present in so many products (found in roughly 75 percent of processed foods), minor symptoms could be easily overlooked as due to something else. Anaphylaxis is a life-threatening emergency and immediate medical treatment is needed. Call 911 immediately if you suspect you or a loved one may be having such a reaction. Unlike some other food allergies (nuts, shellfish, and wheat, for example), the exact causes of corn allergy aren't known. It's thought that a combination of genetic factors, environmental factors, and epigenetic factors (the interaction of genetics and the environment) are at play. Corn is a cereal grain that contains a protein, zein, which is the suspected culprit in this allergy. A reaction occurs when the body recognizes this protein as foreign and releases immunoglobulin E (IgE), antibodies to attack the protein. IgE then stimulates cells in the immune system to secrete substances such as histamines that are responsible for the symptoms. Allergic reactions can occur as a result of eating both raw and cooked corn, as well as foods manufactured with corn products. Not all corn products contain zein, but it can be difficult to know when it is present, as current food labeling does include a "corn free" designation. Even coming into contact with surgical gloves or intravenous fluids that contain corn can be problematic. Those who have corn allergy may also react to corn pollen, grass pollen, and cornstarch (typically with hay fever (allergic rhinitis) and/or asthma). People who have asthma, eczema, hives, hay fever, or other food allergies appear to be at greater risk. A family history of these conditions is also associated with a higher risk, particularly when a sibling has a corn allergy. Diagnosing food allergies is important, as the results can have a significant impact on what a person eats each and every day. That said, the diagnosis of corn allergy can be challenging. Allergy testing with blood tests and skin tests can be inaccurate, with false positive tests occurring often. Such a result, however, does place a person at a higher risk for an allergic reaction to that food and should be considered along with other findings. Corn is present in a vast number of foods and in different amounts. Signs and symptoms are non-specific and may easily be dismissed as a cold virus, a rash due to irritation, or an allergic reaction due to something else. With mild symptoms, keeping a food diary is often an excellent start. This involves recording foods that are eaten, when they are eaten, and any symptoms you experience. An elimination diet can also be very helpful. With this, the foods that are eaten are greatly restricted, and then individual foods are slowly added back in at specific intervals so that a reaction, if present, can easily be traced back. The diet often requires a commitment of a minimum of two weeks and often more to identify potential food allergies. If a corn allergy is suspected, a food challenge (eating corn) may be considered, but should only be done under the guidance of an allergist. Consulting with an allergist who specializes in food allergies early on can be very helpful, and is imperative if you have had any symptoms suggestive of an anaphylactic reaction. For mild allergic reactions, treatment usually consists of managing the symptoms alone until the allergic reaction is done. For anaphylactic reactions, epinephrine (an EpiPen) is the only treatment available, along with immediate medical care in an emergency room. Anyone who is coping with possible food allergies that could result in a severe allergic reaction should become familiar with first aid for anaphylaxis and be prescribed (and educated about the use of) an EpiPen. Certainly, the best way to "treat" corn allergy is to avoid corn in the first place. That said, with the many hidden sources of corn in a typical American diet, and the lack of clear labeling to this end, exposures can and do occur. Working with a nutritionist or dietitian can be very helpful in navigating food label vocabulary that indicates the presence of corn in a product. But even when you become familiar with how to identify these ingredients, it can be challenging when you are asked to eat at the homes of family and friends, out at restaurants, and for children, at school. At restaurants, it's a good idea to ask to talk with the chef. This conversation should include not only the ingredients used but how the food is prepared (for example, a corn-free dish may be fried in corn oil). There are some foods that you should definitely stay away from if you have a corn allergy. There are others, however, that may a corn-based ingredient and may or may not be suitable for your shopping cart. Here are some examples. Please note that these are not exhaustive lists, and it's highly recommended that you work with both your allergist and a dietitian if you have a serious reaction to corn. Use caution with the following foods, which may include sources of corn from various products, such as cornstarch, corn syrup, and corn/vegetable oils. Keep in mind that many processed foods (roughly 75 percent) contain corn or products made with corn. While not food, note that some medications, vitamins, minerals, and dietary supplements may also contain corn. The organization Food Allergy Research and Education has many valuable tips for those who are learning how to face life with food allergies, including information on how to prepare for and manage severe reactions. A medical alert bracelet may be useful in severe forms of food allergy, so that emergency personnel can be aware of your medical condition if you are unable to communicate. While corn allergy can be limiting and frustrating, there is a silver lining: Many of the foods to avoid on a corn-free diet, such as most processed and high-carb foods, should be minimized in a healthy diet, and many corn-free options are ideal healthy options. When embarking on a corn-free diet, consider starting with foods like eggs, natural/fresh/unprocessed meats (like grass-fed beef and wild-caught fish), oats, wheat, quinoa, beans, and rice. Health food stores may also have corn-free products such as corn-free condiments and much more. Gonzales-Gonzalez, V., Diaz, A., Fernandez, K., and M. Rivera. Prevalence of Food Allergens Sensitization and Food Allergies in a Group of Allergic Honduran Children. Allergy, Asthma, and Clinical Immunology. 2018. 14(1):23. Inam, M., Shafique, R., Roohi, N. et al. Prevalence of Sensitization to Food Allergens and Challenge Proven Food Allergy in Patients Visiting Rawalpindi, and Islamabad, Pakistan. SpringerLink. 2016. 5(1):1330. Sicherer, S., and H. Sampson. Food Allergy: A Review and Update on Epidemiology, Pathogenesis, Prevention, and Management. Journal of Allergy and Clinical Immunology. 2018. 141(1):41-58. How Can You Develop a New Food Allergy When You Are Older?